There are many great charities across Teesside, all of which do some fantastic work in our communities. One of our favourites is the Finlay Cooper Fund – set up by former Middlesbrough footballer Colin Cooper and his wife Julie almost 12 years ago, in memory of their son who died shortly after his second birthday. Since its launch, the fund has raised more than £600,000 for good causes, supporting the likes of Zoe’s Place Baby Hospice and Butterwick Children’s Hospice, and even providing holidays for disadvantaged Teesside families in a static caravan near Filey. My co-editor, Dave Allan, and I go back a lot of years with the Coopers. We both worked at Middlesbrough FC at the time of the tragic accident in January 2002. Colin was always a pleasure to deal with – you could always rely on him to do interviews when others dodged them! – and I recall visiting the Cooper family home to do a feature for the club magazine, when I was given the warmest of welcomes. It’s hard to believe that was more than 16 years ago. But it isn’t just for sentimental reasons that we support the Finlay Cooper Fund. The charity proudly runs on no overheads whatsoever, meaning every penny – and I mean every single penny – goes to worthwhile causes. As the fund approaches its 12th birthday, the Coopers – along with hard-working trustees Nick Waites, Graham Fordy and Lee Bramley – have now set a new target to hit the £1m milestone. To help them achieve that, they’re planning their fifth biennial Dragonfly Ball, which is being held in the Marquee at Wynyard Hall, on Friday June 15. You can find out exactly why it’s called the Dragonfly Ball in Michael McGeary’s emotional interview with the Coopers in the latest issue of Tees Life – Tees Business’ sister publication – as well as find out how to buy tickets/tables for the ball by clicking here. The fifth issue of Tees Life is now online, and also contains features with Cattle and Cane frontman Joe Hammill about his likes, loves and growing up in Thornaby. 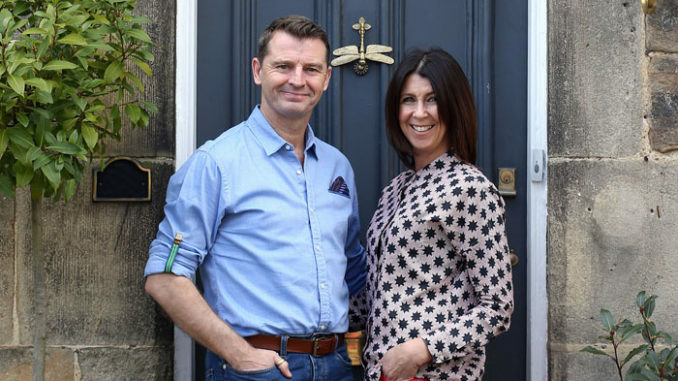 We take a look around a stunning six-bedroom new-build in pretty Stainton Village, while business owner and investor Alastair Waite takes us through his motoring love life. We also have features with The Curing House, Finkle & Green, Baker Street Kitchen, Vintage Chartered Financial Planners, Porsche Centre Teesside, Joe Cornish Gallery in Northallerton, Wynyard-based Paul Gilsenan Wealth Management, Acklam Hall and Enjoy Tees Valley, while we also have a women’s fashion column and a useful What’s On guide. The circulation of Tees Life issue 5 starts next week, with 7,000 copies going to restaurants, hotels, salons, high-end businesses and homes across Teesside including Wynyard, Eaglescliffe, Yarm, Ingleby Barwick, Wolviston, Hartburn, Nunthorpe, Linthorpe, Marton, Stokesley and Guisborough. Tees Life, Teesside’s only true lifestyle publication with its own original content, really is – like Tees Business – our pride and joy, and we hope you enjoy our latest edition – click here to read it online.